TitleMr.Mrs.MS Please leave this field empty. For moving home or office, local and national call us today. 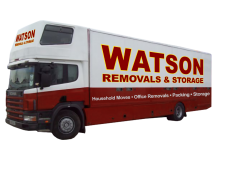 The team from Watson Removals Southampton couldn’t have been more helpful and we were able to schedule the move for a time that suited us. They were recommended to us by friends who said they were really flexible and they were right! All in all, we got great service at a fair price! The quote I got for my flat removal in Southampton was exactly what I paid and not a penny more. They’re a cheerful bunch at Watson, even they had to carry all my stuff up three flights of stairs. I’d definitely use them again. We used these guys to help with our office relocation. They turned up on time and were also quick at getting everything into the lorry. At the new premises, we realized we needed to store some stuff until we had some installation work done and this was arranged on the spot. We hired this company to move my elderly parents because we knew they were a well-known local firm with a good reputation. They were brilliant with my mum and dad and handled their stuff with care. We gave them a plan for the new place and when we got there later, they’d followed the plan to the letter – thanks guys! One of the top removal companies in Southampton offering professional home and office moving services. Get your free removals quote today. © Copyright 2019 Watson Removals Southampton. All rights reserved.